Disabled Labour activists have gone public with their concerns about the “consistent failure” of the organisation set up to build links between the party and the disability movement. They are set to call for major changes to Disability Labour at its agm next month, including the replacement of two key executives. Disability Labour is an independent society, affiliated to Labour, and is supposed to work with the party to make its services and meetings accessible, while also campaigning to address disabling barriers in wider society and for full civil rights for disabled people. But many frustrated members in the Disability Equality Act Labour (DEAL) campaign group say it has repeatedly failed in all its objectives. Among DEAL’s concerns are Disability Labour’s lack of accountability to its members, its failure to manage its membership list, that its ruling executive meets only four times a year, and its failure to carry out any proper programme of work. DEAL, which was set up to address Disability Labour’s failings, says its executive promises every year to improve but has repeatedly failed to fulfil that pledge, while there has been “virtually no communication” with members this year. Among a string of motions it hopes will be passed at the agm are expressions of no confidence in the chair, Dave Allan, and the secretary, Louise Reecejones, who it wants removed from their positions. 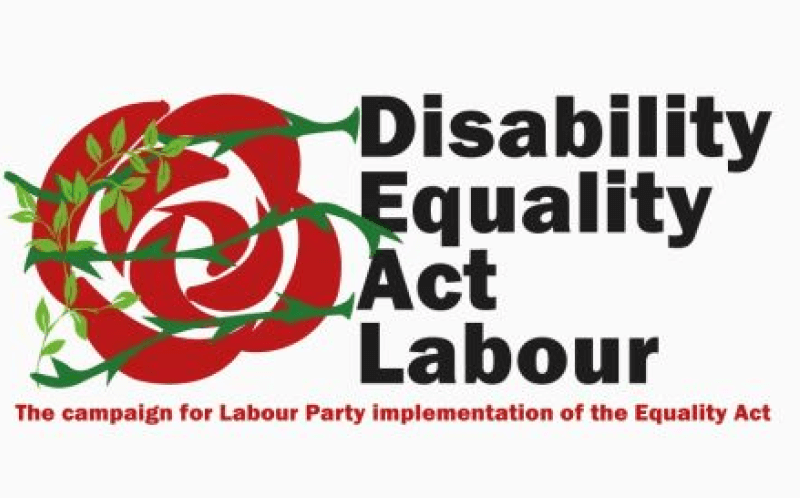 Since its launch, DEAL has published a campaigning document that called on the party to improve access for disabled members, and a subsequent handbook aimed at helping the party comply with its duties under the Equality Act. Sophie Talbot, one of DEAL’s founders, said the group had “begged and pleaded” with Disability Labour to take action. Now DEAL has published a series of new web pages with a set of demands they hope will “fix the ailing organisation”. As part of a 12-point plan, it wants to see free membership for all disabled party members; for Disability Labour to be “a strong campaigning voice”; for it to adopt the DEAL handbook; and for Disability Labour to support and endorse disabled members standing for public office and party positions. Talbot added: “We set up as a group because of the consistent failure of Disability Labour to work on behalf of its members. “We were sick and tired of the total lack of communication with members, and what looks like a small group of executive members using Disability Labour to further their own political careers. Emily Brothers, a member of the executive, said she also had concerns about the performance of the chair and secretary and was frustrated at Disability Labour’s failings. But she was also critical of the “groundswell of negativity” coming from online groups like DEAL, despite some positive work, such as the new handbook. She said: “There is too much introspection on the internal workings and machinations of things like constitutions [of Disability Labour]as opposed to being positive and looking at issues around policy, and frankly how we can put the Tories on the back foot on issues affecting disabled people. “There are many things which are not working. We do need change, but we need to work incrementally towards that. Brothers said there was no need for the string of motions being put forward for the Disability Labour agm by DEAL, while she said the no confidence motions could be better dealt with by voting in new officials in the annual elections to the executive. She said recommendations made by a democracy review – likely to be approved next month by Labour’s national executive committee – would set up a new disabled members’ section that would sit within the party’s national structure. This would mean a new role for Disability Labour and potentially a discussion as to whether it would continue to exist in the long-term. Another member of the executive, Kirsten Hearn, said she was “very frustrated” with how Disability Labour had performed and was “embarrassed” that she had not done more herself to try to reform the organisation. But she also questioned whether motions of no confidence were the way to change Disability Labour. She said: “I don’t think the agm should take up time with motions criticising anybody’s leadership, [instead it should]elect a new set of people to get on with things. “I don’t see the point of punishing or humiliating people for their poor leadership. We should just move on. “I strongly encourage every single member of Disability Labour to try and be at the meeting. She said Disability Labour needed to support disabled people to stand as candidates for political office and for leadership positions in the party and ensure inclusivity in the party. Neither Allan nor Reecejones had responded to a request to comment by noon today (Thursday). A spokesman for Marsha de Cordova, co-vice-chair of Disability Labour and the party’s shadow minister for disabled people, said she was on leave this week and so was unable to comment, although she made several comments on other issues on Twitter.